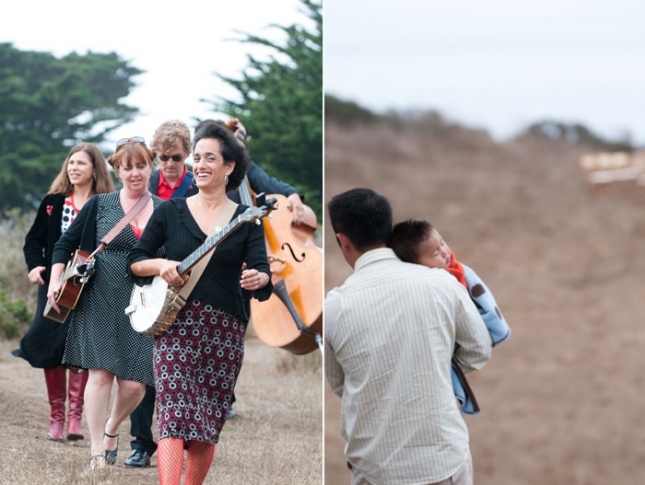 In many ways, this Slide Ranch wedding in Marin was the most beautiful wedding of the year. Laura and Joel wanted natural beauty, simplicity, and a celebration of their love and family. 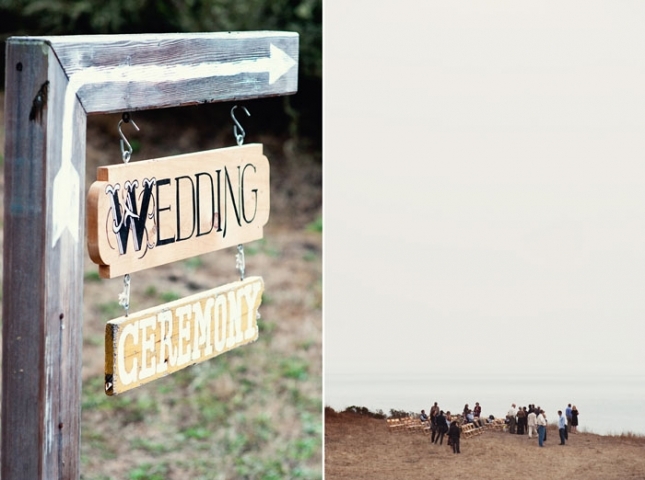 One day as they were driving back from a trip up north, they passed by the rustic sign for Slide Ranch and impulsively pulled over and immediately knew it was the right place for their wedding ceremony. 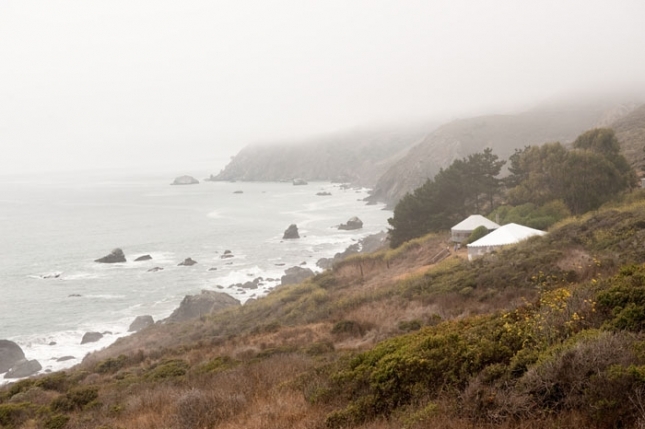 Perched literally on the side of a cliff above the Pacific Ocean, Slide Ranch is a non-profit teaching farm with organic gardens, goats, sheep, chickens and ducks, along with numerous coastal trails, tide-pools and beaches. The sunflowers that were in Laura’s bouquet and gathered in cans for table centerpieces were mostly from her garden. Loved all of the details that went into this green wedding. The fog hung low all day, cleared up a tiny bit for their wedding ceremony and reception, then covered the area like a blanket once again. Laura, Joel and their friends and family were so delightful, fun-loving and down to earth, I wanted to go home with them. Sheep, chickens, and a blender powered by a stationary bike! Dancing was held inside of a yurt!! Congratulations, Laura and Joel! Yay for you! Annie - What an amazing color palette! The photos are lovely! And Laura is gorgeous. LOVE her hair! Sharon Piller - Wow, what a unique and beautiful wedding. Great work as always Andi!!! Brigitte - Hi! I’m trying to find out more information about this wedding venue. We are very interested in using it for our wedding, but I’m worried about the logistics of it all. Is there any way i can get in touch with the bride or groom to pick there brain on the venue?